Bhagavad Gita means 'song of God'. This noble mandate is at the heart of Indian spirituality. This holy book teaches a man to overcome his low instincts and realize his full potential as a human being, that is to know himself as an eternal Atman, one with God. There is an expression that states that Bhagavad Gita is the 5th Vedic, which seems very sensible. If you read the Gita, you will find the essence of the supreme purification of humanity, human struggle, the true truth about God and the human obligation of the neighbor, the universe, not just the obligation to God, the Creator Himself. 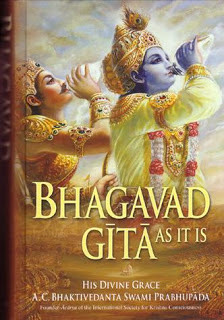 Bhagavad Gita is very universal, and there are many world leaders from ancient times read and inspired by Gita. 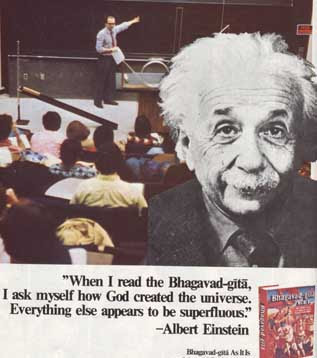 The Bhagavad Gita is the universal teachings for all mankind, not only for Indians or Hindus. Six thousand years ago Bhagavan Sri Krishna taught this knowledge to Arjuna in the battle field just before the great battle began, a fight between good ability against evil. The battle represents an ongoing battle in the human heart to do right and eradicate the wrong, an inner struggle that continues to this day. Gita speaks to the struggling man, his eternal and universal mandate addressed to people from all sorts of backgrounds and ages, from Arjuna to modern humans. 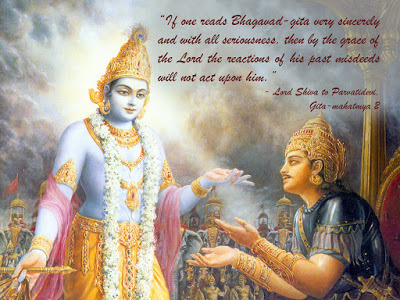 Readers who do not know Bhagavad Gita yet, here we include a quotation containing a summary of his story and teachings. There is a very interesting part of the Bhagavad Gita, which is in chapter 12, which emphasizes the way of devotion and chapter-2 that emphasizes the path of wisdom and activity. Each of these conversations each other continuously, though each is a complete dharma discourse. The reader can start with any conversation and by taking his life in accordance with this mandate he can enjoy the beauty of increasing spiritual awareness that filled his life. Krishna drove a chariot between the two warriors ready for battle so Arjuna could see all his relatives facing each other. With a heart full of deep compassion Arjuna said, "Oh Krishna! I can not fight! I am overwhelmed with helplessness I do not understand what my duty is, I am Your follower I fully surrender to You. Then the Most Gracious replied, "Arjuna, leave this weak attitude, it is not right for you, do not give up on weakness, your grief is of no use to the truth, know the truth of Atman (Soul), Arjuna. And wear new clothes, as well as the Atman leaves the old (old) body and goes into the new body. The body was born and what was born would die, But the eternal Atman never was born and never died. The weapon can not hurt it, fire can not burn it, water can not wash it, and the wind can not dry it. Atma is not the body to be destroyed. It is the eternal self of every one. When you already know this why grieve? The wise have never grieved, both for the dead and for the living. " "I am the Atman, Arjuna, I am the Almighty who dwells in every creature, I am the Father and the Mother and the care of it, I am the beginning, the middle and the end, Everything comes from Me. My way. Although I was never born and never changed forever, I incarnate from age to age. When welfare decline and rampant crime, I incarnate, to defend the virtue and destroy evil. " "Because I am hidden by my supernatural ability, they do not know Me, though they do not know Me, Arjuna, I know all of them ... what has happened, what is happening now, and to come. -The supernatural I, the fools assume that I am the intangible and eternal being as ordinary people, because they do not know my reality, they ignore me and are busy in the world, filled with hopeless hopes. Because of the loss in the virtual world, they twisted around like puppets on the carousel. "This mystical Maya is very difficult to overcome, among the thousands, perhaps only one who seeks to know my truth, even among those who strive hard, is perhaps only one who knows my true reality. Who has a solid wisdom, therefore, Arjuna, be a yogi! Fit yourself to Me, and with My mercy, you will attain the highest peace. From now on keep your mind steadfast with Me in your heart. Be at peace with me, prostrate to Me, praise me always in you, and you will soon unite with Me. Yes, this is true I promise to you, Arjuna because you are so I love, "
"Arjuna, who works for Me and makes Me the ultimate goal, anyone who worships Me and is not bound, has no hatred of any creature, will come to Me immediately, who knows the birth and my work. Who is holy, will not be born again from the dead, he sees me everywhere, eternal in eternity, dwelling in every creature, yet he sees, and I still see him. Those who always put me in his heart and who always serve Me with love will bear his burden and I will give them what they need. They are always satisfied and happy when speaking about Me. Because of my love for them, I increased their ability to discriminate, and by the rays of knowledge, I eliminated the darkness and ignorance that hindered their views. Because they are able to master the senses, they achieve the ultimate knowledge; Because they are free from evil, they achieve the highest happiness because they are able to surpass the world of death and destruction, they attain eternity. " "Arjuna, whoever offers me lovingly, whether it be a leaf, a flower, or a piece of fruit, even water ... such a gift that comes from a pure heart, I will accept it. You do whatever you eat, or whatever you do, or whatever you do, offer it to me. You will be freed from the consequences of your actions, and soon your mind will be calm and blessed with self-denial. By having an inner balance and not taking into account your efforts, you will be freed forever from the chains of birth. Therefore, submit your deeds to Me. Center your mind through yourself and set you free from all sin. Do not be afraid. Thanks to my mercy you will overcome all obstacles. " "But because of your arrogance you will not listen to me, you will certainly perish, you may think, 'I do not want to fight' but driven by your sense of responsibility, your nature will force you to fight. You do not want to do it. Arise Arjuna! With the sword of the knowledge which I have given you, basry the foolishness and imagination that arise from him, who doubted the truth of the Lord dwelling in your heart. Arjuna, arise and win! You have been sworn to establish the dharma! The fate of power has been rampant. You have to face it and destroy it. Protect me, Arjuna. Remember me always ... and fight! You're not going to kill these knights, but me. I am the creator of this nature and its maintainers, but I am also the time, the mighty power that destroys the world and destroys everything. All the officers in this opponent's army have perished by Me. " "Arjuna, you are only a tool for me to act, now I am giving you my universal appearance, where you can see the essence of the whole universe, see the ability of my god! Look at the whole moving and stationary universe, They all belong to me! " Covered by his astonishment and admiration Arjuna bowed his head respectfully and clasped his hand as he said, "O God Almighty! Praise be to You! Praise for ever! The excellence of a thousand sun that goes together in space will not mean when compared to Your splendor! You are the highest ... the eternal protector of the eternal dharma. You are everything to know. Seeing your awesome shape, the whole world trembled with fear, so did I. Like the rivers flowing into the sea, so the heroes in this human world come into your Blazing Thing. " Then the Most Holy God came back to his original form and said, "I have shown you my great First Message, it is very difficult to see what you have seen." Such Myths can not be seen through the study of the books Neither by the tapa, charity, or yajna 'sacrifice', but only through devotion or earnest devotion. The experience I have given you and the knowledge that I have taught you is a precious treasure. Are you listening to me with Arjuna's concentration? Is the imagination that comes from your ignorance has vanished? Think of everything I say to you, think deeply, then do what pleases your heart. " Arjuna said, "O Lord of the universe of the universe! Your magnificent and marvelous words contain very high knowledge, and You have spoken it with all patience: For your mercy, my deceitful illusions have now been destroyed. Rise without a doubt, I beg your guidance, and I will do whatever you ask. " That's the dialogue Arjuna is in doubt with Lord Krishna. You will probably be inspired by this colossal story. 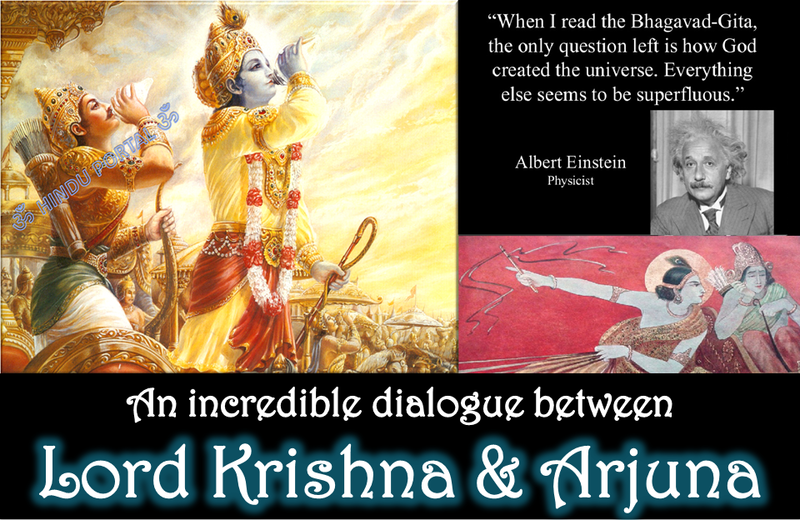 You can find the complete dialog of Bhagavad Gita completely. 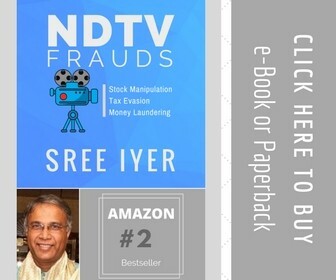 You can find this wonderful book in the nearest bookstore so you will get enlightenment.